On this day 26 years ago Nintendo released The Legend Of Zelda, forever dooming us to exploring random caves, picking up chickens, and expecting celebratory music every time we open a drawer. When we discovered that Zelda Day was an actual holiday outside of our own heads, and that geeks around the world celebrate this day with cosplay and song, we got curious. What is the best way to celebrate Shigeru Miyamoto's genius? Aside from awesome drum circles, we mean. Marathon gaming sessions and Ocarina practice? Perhaps starting work on our cosplay for next year. Knitting? How about this: tell us about your favorite Zelda memories, about your best gaming marathons and the first time you beat a Zelda game. Are you working on a costume? Zelda related art? Do you have a Zelda-related tattoo? We must know. Perhaps we can have a little party of our own, right here in the comments. Lex Calibur	said this 2618 days ago. I have three hearts on my wrist. It's my life meter, and it's always full! Time to shoot some darknuts. purplepixel	said this 2618 days ago. Probably around 5 when I beat the first zelda. I also have a Zelda tattoo. Amras89	said this 2618 days ago. Birder Katie	said this 2618 days ago. I'm now going to hack all the drawers in my house to play the Zelda chest opening music whenever they are opened. Thanks for the idea! Devin Baillie	said this 2618 days ago. @Devin Baillie ...Please to be sharing a video or an Instructable once you do that, because we need to see this happen. Raevyn W.	said this 2618 days ago. I was born with the last name Link. I will never give it up. My cat's name is Zelda. Dog's name is Ganon. Fun times. JessLink	said this 2618 days ago. alexthegamerfool	said this 2618 days ago. GLaDOS111	said this 2618 days ago. lala808	said this 2618 days ago. Galathil	said this 2618 days ago. My brother and I would stay up all night on weekends and play Zelda together, I'd do the exploring and he would fight the bosses, it was the only real bonding time we had as brother and sister. Spoofnerd	said this 2618 days ago. drakuldragon	said this 2618 days ago. DorkyMom	said this 2618 days ago. I named my terrier Link. Though, he acts more like Dark Link... come to think of it, he's black and white... What was I thinking?! Tripledge	said this 2618 days ago. Ishnu	said this 2618 days ago. MPKaiser	said this 2618 days ago. Futureperfect	said this 2618 days ago. Allasauna	said this 2618 days ago. I made a wolf link/twilight princess combination that I call "wild link" for a cosplay competition this summer :) I also have a fi, a "wild" sheik, and maybe more on the way! atakino	said this 2618 days ago. Have, the whole costume, including flying fairy, bombs, life energy, red & blue potions. 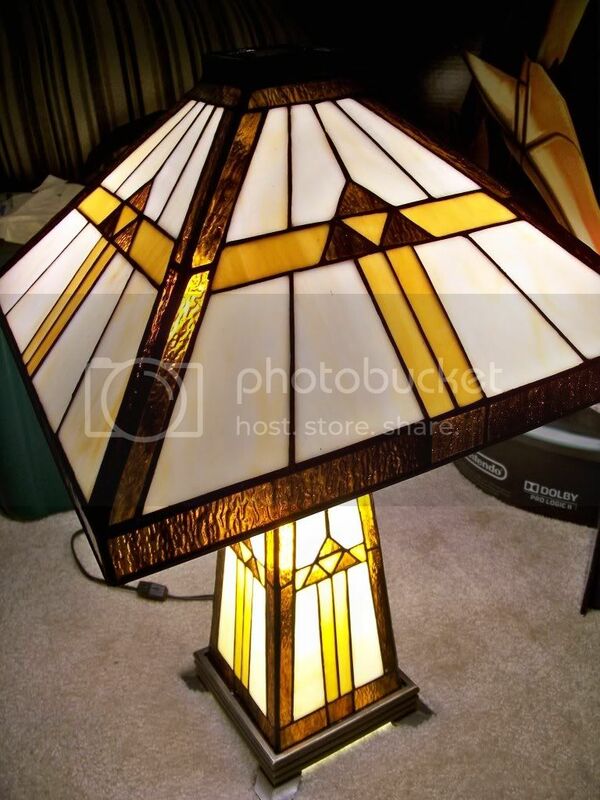 Have the master sword & Hyrule shield. not so great for the cosplay event we have every year, too heavy & dangerous. Got all three kids hooked over the years, and have never looked back. 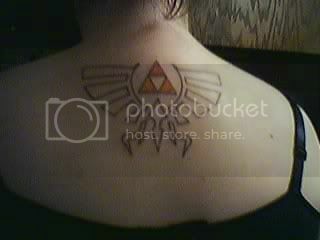 :-) The next tat is master sword in the base from Ocarina of Time. Hecate6	said this 2618 days ago. Kadmium	said this 2618 days ago. The first Zelda game that I ever beat was Ocarina of Time. I still remember my first time fighting Ganondorf - I couldn't figure out what to do with his electric ball attack, so I eventually tried catching it in a bottle, which actually reflected it back at him. I thought that was the only way to defeat him for the longest time... Recently, a few friends and myself went back to try and 100% OoT together. My friend played the majority of the Water Temple, up until the point where there was only one locked door between us and the Boss room. We had the Boss Key, but couldn't for the life of us find the final Small Key. Turns out, my friend had missed a Block of Time in the room where you get the Hookshot. It took us a solid seven hours to figure that out. DGally	said this 2618 days ago. Tealyn	said this 2618 days ago. ProlificSalo	said this 2618 days ago. FaeOfDoom	said this 2618 days ago. When I was in elementary school, my friend and I created a board game based on a Link to the Past. I wish I knew where it went. JustinPM	said this 2618 days ago. I have the triforce branded into my left hand. ^^"
Christinasaur23	said this 2618 days ago. starwarspunk	said this 2618 days ago. zookeeperLacey	said this 2618 days ago. My sister made me a Twilight Princess Zelda costume for Halloween a few years back and she wore it to a comic show while I wore Twilight Princess version of Link. Fun times! I love the game and the great people I meet when I cosplay! AranNoble6	said this 2618 days ago. anon42	said this 2618 days ago. i've been playing the theme music in my head for 24 years. wessie51	said this 2618 days ago. This may sound a bit extreme, but as I was remembering my first time beating the first Legend of Zelda, I started tearing up. It reminded of not only a great, carefree time, but a very fond, sincerely positive moment of accomplishment in my life. 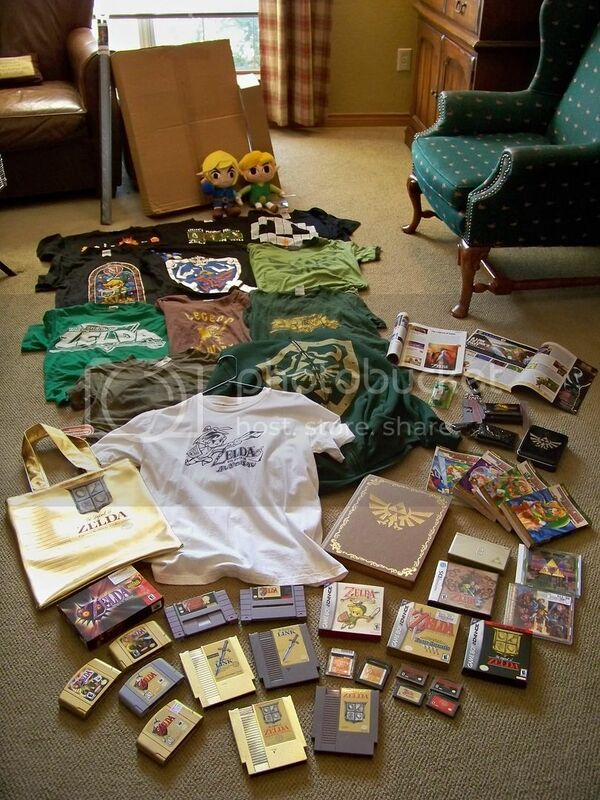 The Legend of Zelda, you are in my heart forever. BenRichards	said this 2618 days ago. I was not an athletic kid, so it's probably no surprise that I wasn't terribly fond of PE in elementary school. I got by, but I didn't enjoy it, and I was always afraid of the rather large gym teacher criticizing me for something that I felt like I didn't have much control over. So I panicked a bit when one day he called me over. I was expecting to be told how I was doing something wrong or wasn't trying hard enough yet again. "Yes, Mr. Morley?" "Where's the raft in Zelda, second quest?" My world sort of turned upside down for a moment, and it took a second to figure out what just happened. This man, who scared the tar out of me, had apparently heard from some other students that I'd finished both quests in Zelda, and now the tables turned to put me in a position of power over him! Of course, he could still crush me like a bug, so I told him. And he was grateful. Not that PE got any easier, but Zelda provided a rather strange moment for that one day. iamthatoneguy	said this 2618 days ago. I am making the Mastersword from a pepakura file! 405th.com I will be working on the Hylain Sheild next! Legend of Zelda is awesome! Yusu	said this 2618 days ago. http://tinypic.com/r/34eyplc/5 I have a large Zelda tattoo on my thigh. The picture is kinda crappy and you can't see any of the yellow so I included my original illustration next to it. In Hylian it reads, "This is but one of the legends of which the people speak"
ElizabethMaylynn	said this 2618 days ago. @Kadmium I've been looking everywhere on the Net for you! I found some of your tunes on Dwelling of Duels, and I've been blown away. You are a master, Sir. King Ebrius	said this 2618 days ago. singingdrummer	said this 2617 days ago. thesaxman17	said this 2616 days ago. Well, my gym teacher's name just happens to be 'Link'...whenever I turn in a paper I make sure to draw a big Triforce up in the corner. She has no idea what it means, but it makes me feel good. TheWordMaster	said this 2616 days ago. My fiance and I have been discussing having a Zelda themed wedding! Not quite as far as cosplay.... but it should be amazing! I'm going to custom make a Link and Zelda cake topper! aedena	said this 2615 days ago. Post a Comment in Reply To Happy Zelda Day!